As experienced providers of grounds maintenance for a wide variety of care homes, schools and business premises, we understand the importance of a holistic, adaptable service that enables your outdoor area to look amazing no matter what the weather or season brings. We can undertake all the routine maintenance tasks you would expect from a premium grounds maintenance provider, ensuring that lawns, flower beds, paths, paving and hard surfaces remain in pristine condition at all times. In addition to routine tasks such as grass cutting, hedge trimming, mulching and strimming, we also offer a number of season-specific services such as leaf collection and gritting. If required we have the necessary equipment and expertise to undertake playground maintenance as well as line marking. When you’re not sure what work your grounds or gardens need, we’re happy to provide a schedule of jobs customised to your property, based on the type of tasks other customers with similar premises require. Because of the nature of many of our clients (care homes or schools), we recognise the importance of undertaking all our work in a safe, professional manner. On site we prioritise the health and safety of all users, delivering premium results whilst ensuring the wellbeing of others and causing minimal disruption. 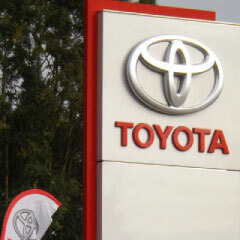 Every job is done to an extremely high standard and regular spot checks are undertaken to maintain our rigorous reputation for quality work. If you want to know more about what we do and how we can help, please get in touch and we will be delighted to discuss your requirements for either on-going maintenance or a one-off clear up operation. We are happy to provide references and are proud of the fact that many of our customers stay with us for years thanks to our combination of great results and friendly service. 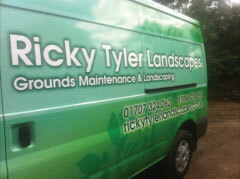 Ricky Tyler Landscapes can provide gardening and grounds maintenance services including Facilities Services covering London, Essex, Hertfordshire, Northampton, Buckinginghamshire & Bedfordshire .